Sign up to the Fabric Land newsletter to make sure you don’t miss out on our fantastic news which features the latest fabrics and haberdashery releases! Get the inside secrets of dress making and tips to help you follow through. If that isn’t enough, there are plenty of offers and voucher codes which will boost your creations and help you save money. Sign up now and see what you have been missing out on all this time. Remember to tick the box and give us your date of birth to receive something special on your birthday. It’s easy, just follow the quick and easy steps and there you have it- ready for you to feed your creative skills. 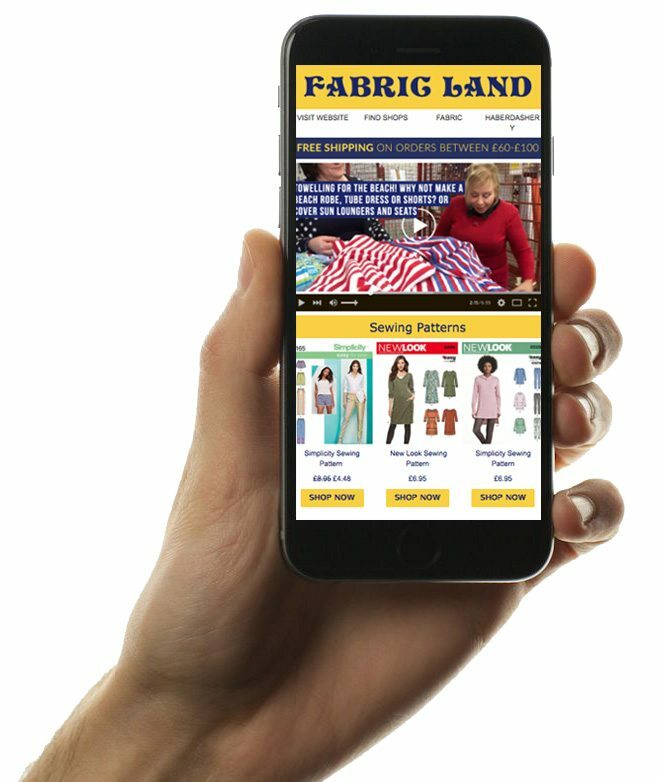 We hope you enjoy the Fabric Land newsletter. Fabric Land are changing the way that we share our information with you. Please let us know before May 25th if you would like to continue receiving emails from us.